Is Jose Mourinho nearing the end? It’s no longer news that Jose Mourinho never finds it easy in his third year in any club, although his second, before his time in Manchester United comes with the league title; At Porto he suffered a blip in fortunes in his third year after a groundbreaking first two seasons, in his first coming at Chelsea, he was booted out in the third season after a victorious first two, on his return to Chelsea, after winning the league in his second season, he endured a horrible run that capitulated in the 3:1 loss to eventual champions Leicester City, he seems to be treading the same route with Manchester United now. 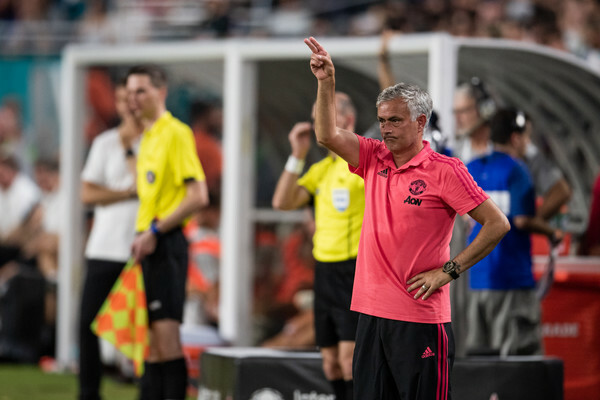 Mourinho went viral few days ago with shocking criticisms of his own players after a loss in a friendly to Liverpool, antics and excuses are synonymous to him but the Portuguese hit a new low with comments capable of unsettling fringe players. Mourinho cut the figure of a comedian that is out of ideas, instead of delivering heavyweight jokes, he concentrates on moaning and cursing. The contract situation of Anthony Martial could have been properly managed, while it is left to be agreed that the acquisition of Alexis Sanchez caused a bit of imbalance in the team, Jose Mourinho will have no excuse if he fails to compete with attractive football in the new season, the materials available to him wasn’t half as quality as the bunch that last won the league for United, he has to focus on football, take responsibilities and let results do the talking. 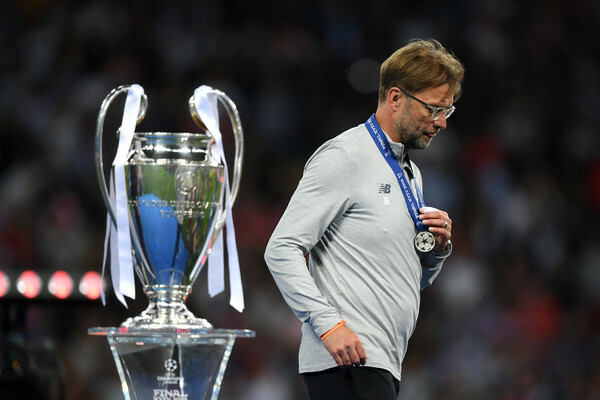 Regardless of the amazing run to the finals of the UEFA Champions League last season, question marks remain around the credibility of Jurgen Klopp as Liverpool manager. Shocking defending and horrendous goalkeeping proved the team’s undoing for most of the season, although the big money arrival of Van Dijk alienated most of the defensive problems, Loris Karius’s howler in the final suggested a need for a new stopper, interestingly, Liverpool has solved all their problems in the current window. A need for an experienced cover for Emre Can who departed for Juventus was fixed with the acquisition of Fabinho from Monaco, Naby Keita joined from Leipzig and goalkeeper Allison Becker arrived for a world record fee too, if Liverpool doesn’t land the title this season, rivals spending won’t be part of Klopp’s possible excuses. With a front line of Mo Salla, Sadio Mane and Roberto Firminho, Liverpool will cause lots of defences problems, pace and trickery with precision, it will take loads of discipline, concentration and elements of luck to handle the Kops in the new season. Aaron Ramsey looks the obvious candidate for Arsenal’s captaincy but how do you explain a decision to hand a player in the final year of his contract with no signs of extension the captain band?suicidal to say the least and his absence in the win over Chelsea on Wednesday could further thicken his exit rumors although Emery was quick to announce after the charitable penalty kicks that the Welshman was taken off the list of starters due to muscle sprain and it was basically precautionary. Arsenal needs a leader, someone who can stand up and drive the team out of murky waters and help them stay level headed when the ship is sailing smoothly, someone they have truly lacked since the departure of Thierry Henry. Rumours went flying earlier in the week that Barcelona are willing to take Ramsey and send Ousman Dembele the other way on loan, Arsenal definitely needs a proven winger but with the injury records of the world cup winner with France, it might be another lost cause. 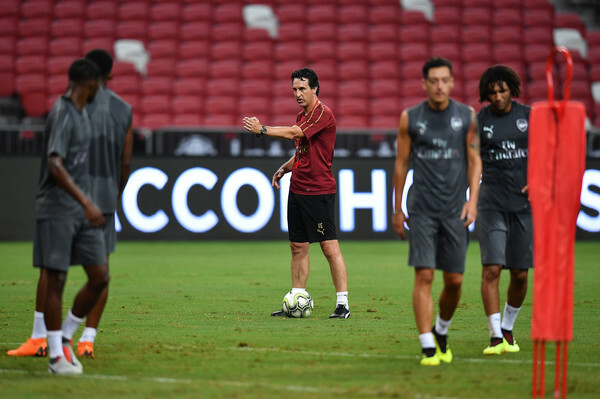 Arsenal fans waited long for another face at the dugouts at Arsenal, now they have one, they expect results, competitive responses in games, matured defending, a disciplined midfield and deft finishes, it’s only the first season of Unai Emery but fans would remind themselves of Antonio Conte and Pellegrini at Chelsea and Manchester City respectively.